The night I became friends with Zoe and Bex, I could barely walk. It was the first month of my first big kid job, and coincidentally my first Queen’s Night in Amsterdam. I was no novice to drinking, but very under-educated on the adult kind. You know, the I’m just going to have two or three glasses of wine after work kind. Two awkward hours of mingling and six vodka sodas later, I was completely inebriated. I remember stumbling around the 180 garden, babbling incessantly to the CEO, and somehow bruising my knees in the chaos of it all. But then I had two friends; one sweet girl was holding my hand, while another helped call a cab. They snuggled under my arms and helped me walk through the lobby, puke on the street, and safely flop into a taxi home. To this day, the entire evening is a thick cloud of fog, however I can still remember the generosity of these two women. And from that embarrassing, drunken night, my first two true-Amsterdam friends were born. Fast forward four years, and we’re still friends, but such different people. Zoe is married and has a baby. Bex is a super-star at Tommy Hilfiger, with some exciting travel plans in the works. And I’ve gone from being young, drunk, and naive, to some kind of adult, who sure as hell doesn’t know it all, but at least knows enough to not get black out drunk at the annual company party. It’s amazing what can happen in four years. Being the awesome ladies that they are, Bex and Zoe offered to take me out to dinner this week. As a distraction, a date, and a lovely lady catch-up. 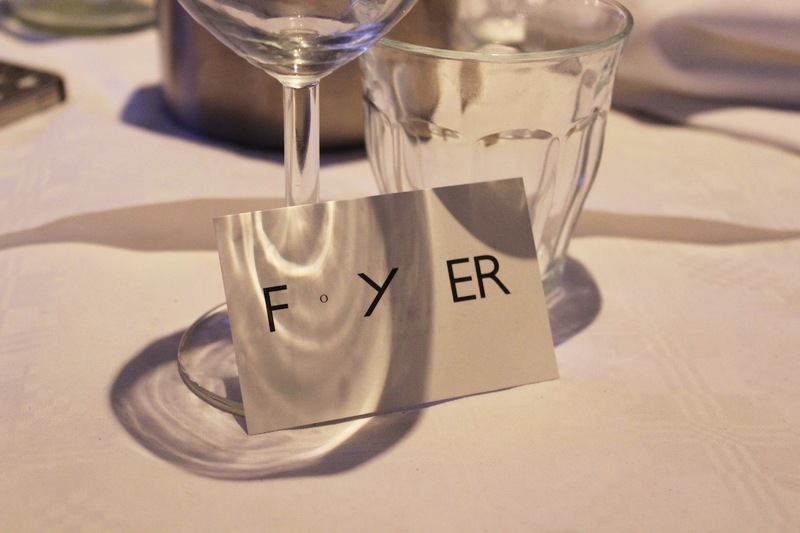 Bex recommended we try the new pop-up restaurant, Foyer, at Felix & Foam. 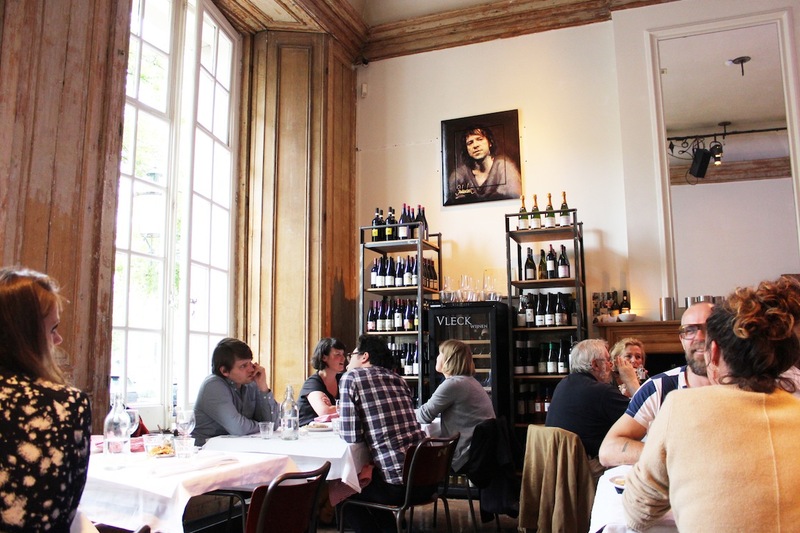 Felix & Foam is located on the Keizersgracht, in a beautiful, historic canal house. The space has been temporarily taken over by Foam, Amsterdam’s well known photography institution. The building now hosts a plethora of art and culture, merging the two in many delicious forms. 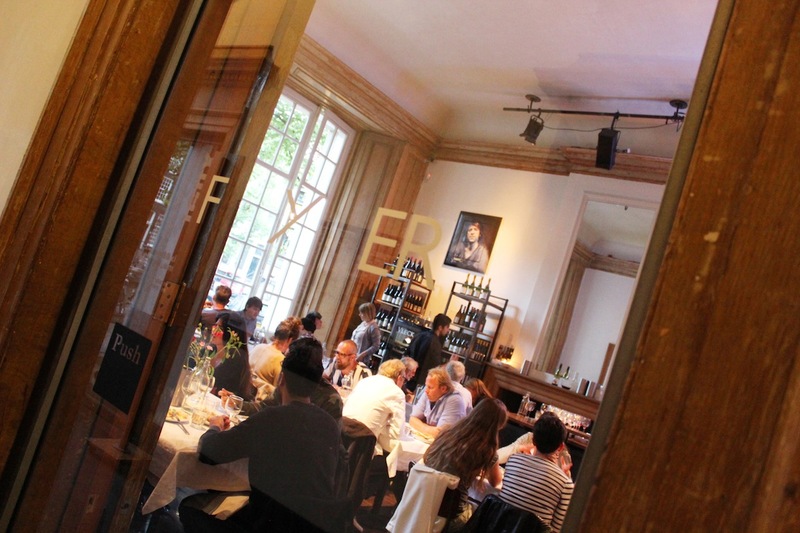 Foyer, the on-site restaurant, serves traditional Dutch food with a modern twist. 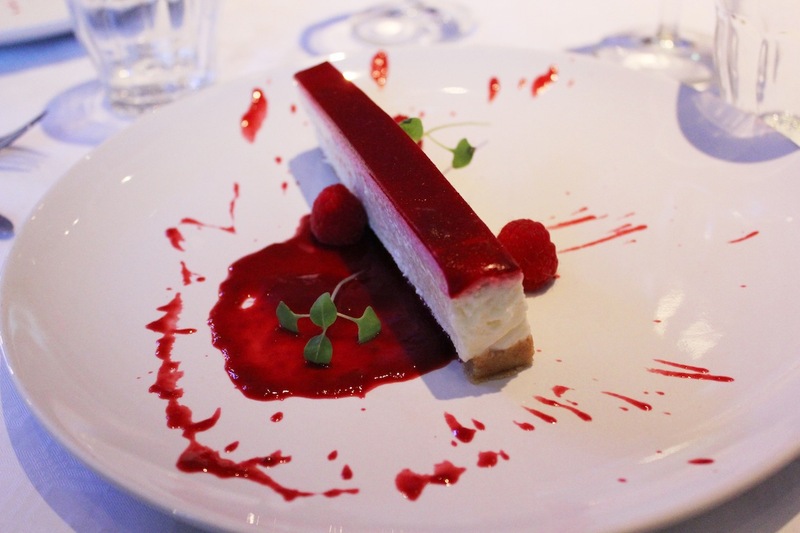 You can pick and build your own menu, and meals can range from a three to a five course affair. 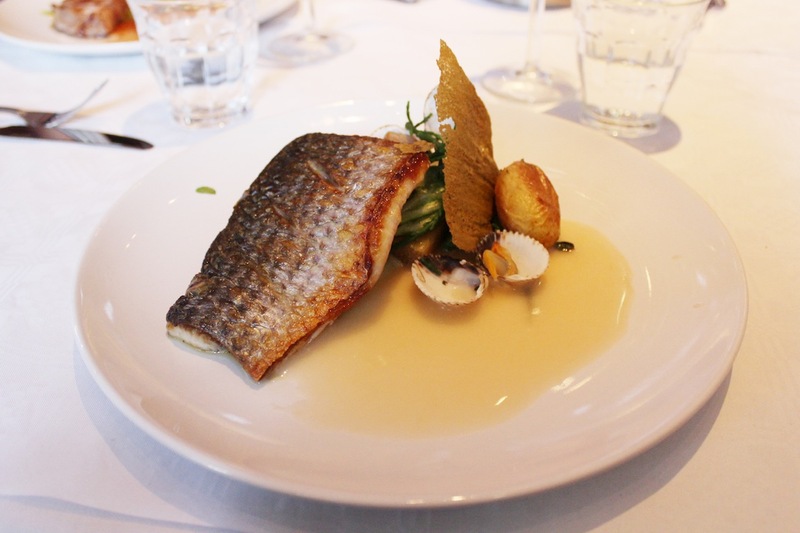 For each course there are three options; fish, meat, or vegetarian. And then there are some cheeky in-betweeners, like a fig and cheese board, or a warm risotto that can be added on to your meal. We all went for the three-course menu, and ordered a bottle of house wine to share. Zoe and I started out with the beef tartare while Bex went for the yogurt. 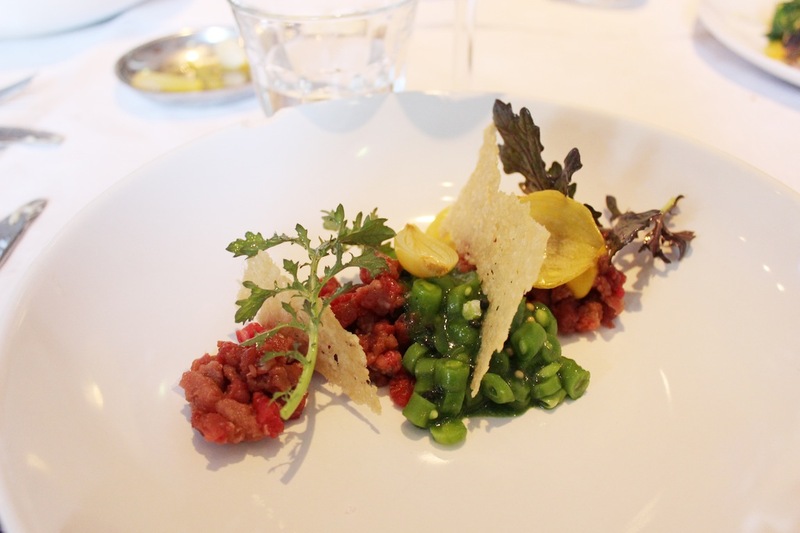 The tartare was fantastic – my only complaint is that I wish there had been more! Looks tasty but such tiny portions!